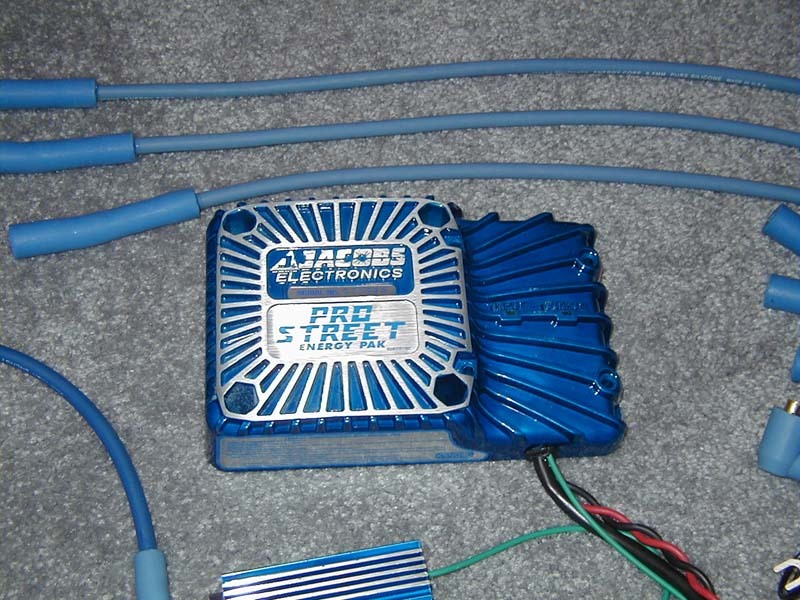 Jacobs Electronics has been producing automotive electronic ignition equipment for the aftermarket since 1974. Their products are designed to recover engine performance lost to lesser quality ignition systems. We decided to put the Jacobs 'Pro-Street Ultra Team' to the test on the dyno and see what it could do. Our test vehicle was a 1988 Toyota 4Runner, with the 3.0L V6 engine. 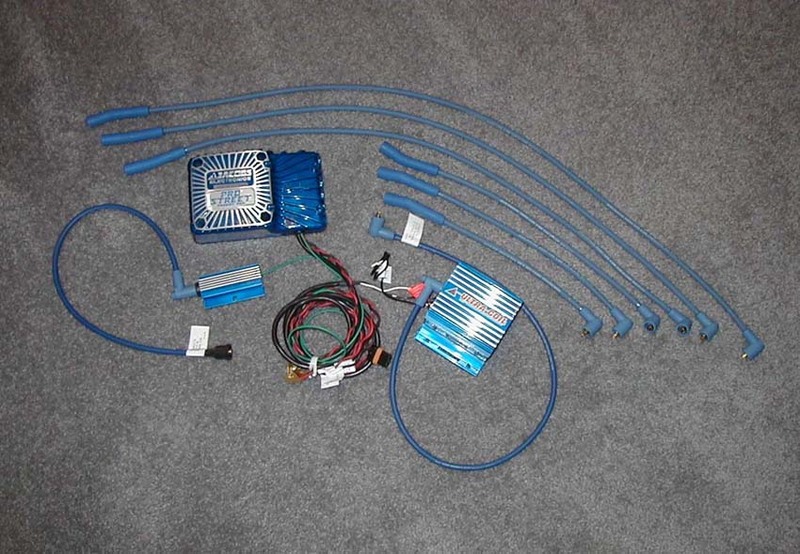 The 'Pro-Street Ultra Team' consists of 8.5mm spark plug wires, the Ultra Coil, and the Pro-Street Energy Pak. Jacobs spark plug wires have spiral wound metal cores and use 100% silicone insulation. 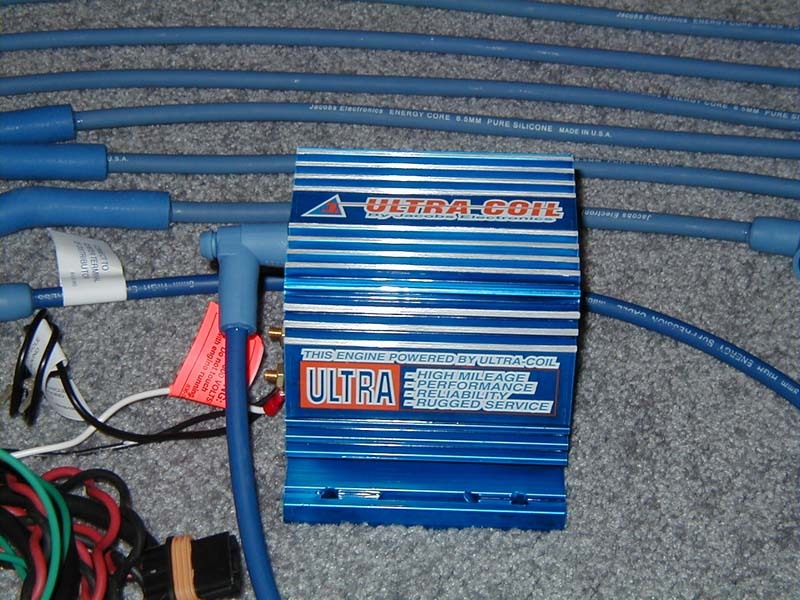 The Ultra Coil is Jacobs' variable magnetic ignition coil and the Pro-Street is Jacobs latest variation on the Energy Pak, which customizes each spark in each cylinder for maximum efficiency. Installation of the 'Pro-Street Ultra Team' was extremely easy. Once you have located a place to mount the Ultra Coil and Energy Pak under the hood and have bolted them in place, only wiring remains. Your old spark plug wires can be removed and replaced with the new Jacobs wires. Next the +12V and ground wire from the Energy Pak must be wired to the battery. The last step is to put the new Jacobs ignition system in-line by connecting wires to the original ignition coil, and another to the distributor cap. For optimal performance Jacobs also recommends re-gapping the spark plugs. Prior to dyno testing, new NGK spark plugs (stock 0.031" gap) and new OEM distributor cap and rotor were installed. The engine computer was also checked for error codes, and none were found. This way we can safely assume the factory ignition system was working properly for our baseline testing. We began by doing a couple of test pulls on the dyno to figure out which RPM range we wanted to start and end the test. Based on the two initial pulls we decided to begin the test at 1700 RPM, and end the test at 3800 RPM. This looked to be an acceptable range since HP consistently peaked at 3600 RPM and quickly fell. In retrospect I wish we had tested to a much higher RPM (I'll explain below). To establish a solid baseline we did three pulls on the dyno. Each curve was very similar to the one before it. Then the Jacobs 'Pro-Street Ultra Team' was installed (spark plugs regapped to 0.055") and three more pulls on the dyno were done to establish solid curve with the new ignition system in place. Once again, each curve was very similar to the one before it. As you can see in the plot to the left, both horse power and torque noticeably increased using the Jacobs system. Peak horse power had increased by 8.5 HP, and peak torque had increased by 6.4 ft-lb. Our Jacobs peak horse power number is what makes me wish we had run the test up to a higher RPM. At 3800 RPM, where our baseline HP had already taken a significant dip, the Jacobs HP was continuing to climb! It is safe to assume that the new peak HP had more than an 8.5 HP increase, but it is impossible to guess how much more without retesting the vehicle on the dyno. It is worth noting that at our last data point, 3800 RPM, the Jacobs ignition was allowing the engine to produce 10.8 more horse power! The Jacobs 'Pro-Street Ultra Team' significantly increased horse power in the upper RPM range. This added horse power is very noticeable when passing or accelerating onto the freeway. 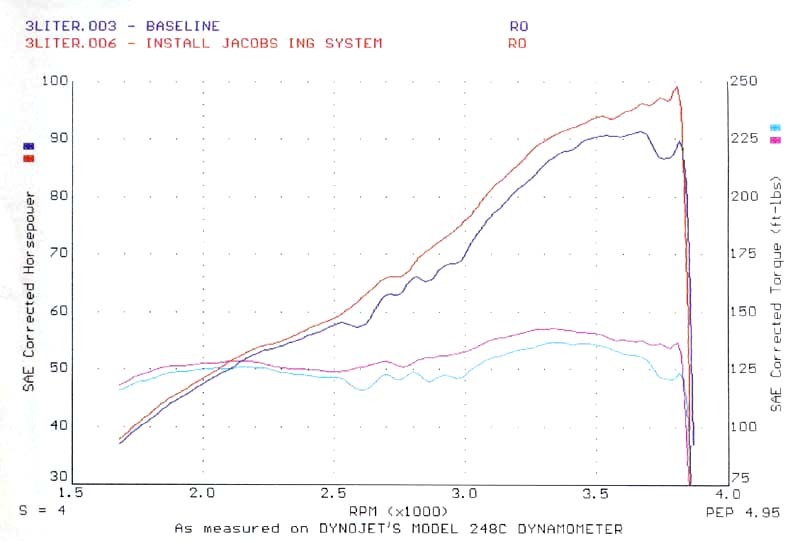 Before the addition of the Jacobs system, acceleration noticeably leveled off at 3500 RPM. The engine now continues to pull all the way till red-line. Gas mileage was also monitored before and after the Jacobs installation. Gas mileage showed a negligible increase of 0.1 MPG over 1000 miles. It is probable that gas mileage will increase as the newness of the Jacobs ignition system wears off of the lead-footed driver. It is hard to keep your foot out-of-it when trying to merge on the freeway with the new-found horse power.